WordPress 4.6.1 is secure compared with earlier versions. WordPress has proved to be the top and most popular Content Management System (CMS) in the world. Nearly 26% of the web is powered by WordPress, as of March 2016. 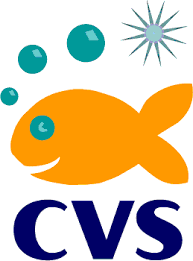 Since it is one of the largely used CMS, the threats are wide open, and the data are vulnerable to security risks. WordPress community is one of the most active community offering continuous support. When it comes to security, secure your WordPress website with the available plugins developed by the community. WordPress has patched these vulnerabilities in this release which makes the update the most secured compared with 4.6 and earlier versions. The release not only came out with the security patches but also with 15 other bug fixes from WordPress 4.6. The bug fixes include the strange behavior of backspace, email server setup, RTL problem, plugin install infinite loop errors and more. Get the complete fixes details from the Core. It is an apparent fact that updates are mandatory as updates carry fixes of bugs. WordPress is considered to be the world’s most popular CMS, and it’s open source which means the codes are available free. The attackers can plan for a security attack for various reasons using the loop-holes in the base codes. WordPress team is on top as they continually monitor and alters the codes to make it secured. WordPress 4.6.1 is one such as it carries two security patches along with 15 other bug fixes. It clearly states that when updated to 4.6.1, the WordPress websites are sure to be secured from vulnerabilities. Log in to your dashboard and click “Update Now” from Updates menu or download WordPress 4.6.1. Sites that support automatic background updates have already begun to update to the newer WordPress version. Author K2B SolutionsPosted on October 17, 2016 Categories WordPress UpdateTags wordpress 4.6.1, WordPress Update, wordpress web development, wordpress website designLeave a comment on WordPress 4.6.1 is secure compared with earlier versions. At the start, it was like all data and project information were recorded in a spreadsheet. A release engineer was responsible to keep track of the data like the project and the developer’s relationship and also the issues along with their status. As the saying goes, “To err is human”, there were lots of problem and misleads. To overcome this situation, Source Code Management system was developed. Source Code Management (SCM) system is used to track project details right from the member allocation to the issues status. It is also used to maintain a team’s coordination and services between the members. 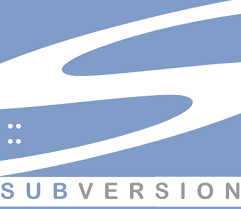 This SCM system reduces human errors and offers version control and file management schemes that reduces overwriting when a file is committed by more than a member. Industry has many Source Code Management (SCM) tools that tracks and offers control over the changes made to the repository or project. Below explained are some of the top SCM tools. At any point-of-time, “Commit” command can be easily called back. 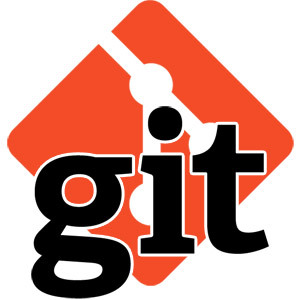 Similar to Git, Mercurial is also an open source distributed version control system which is little outside the scope of many designers and developers. This doesn’t mean that only small organization or small team shouldn’t use it. 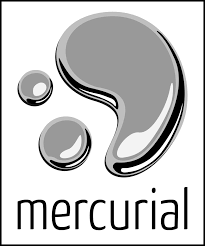 Mercurial is also extremely fast and the title is stated from the word Mercury referring god with eloquence, swiftness and cleverness characteristics. As said earlier, Git is quite complex for beginners while Mercurial has a much simpler system that even a beginner can use. It is preloaded with stand-alone web interface and extensive documentation. 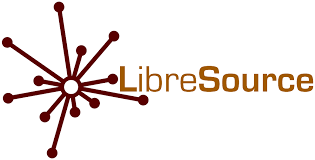 Based on Java/J2EE, LibreSource is a set of collaborative too offers teams or individuals a very effective solution to keep their repository. Source Code Management has taken the project management and issue tracking and recording to a new level. Project management is now made easy! What exactly this framework is? Cygnite is a php 5.3 framework that allows developers to easily develop their application without any hassle. It also helps developers to build a complete web application in easy and enjoyable way. Be it a single or a joint project, this modern PHP toolkit has everything for beginners and advanced professionals to complete the project. Easy to the core: Cygnite is a user friendly toolkit that helps even a beginner to develop comprehensive applications without any trouble. Performance overloaded: With the extensive implementation of lazy loading, the Cygnite framework eliminates caching mechanism to improve performance resulting in ease of operation. Deployed with Composer: The Composer tool allows third party library integration into Cygnite from Packagist making plug and play easier. As an easy and modern toolkit, Cygnite has many benefits over other frameworks. Listed below are the few advantages of using Cygnite framework. Compared with other frameworks, Cygnite is just a framework used for creative development. But the features like writing crud operations in two to three minutes, elegant form builder and IoC container and StaticResolver makes it a bit competitive. 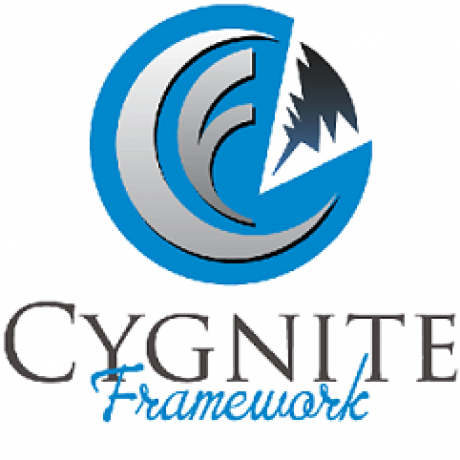 Cygnite was initially launched as a elegant framework and later turned in to an advanced tool/framework for every level developers with the integration of the Composer tool and twig template support. An introduction to WebRTC and how it will improve revenue opportunities for your company? This way, the users wouldn’t have to download and install different plug-ins to their individual browsers in-order to experience these real-time communications. As these plug-ins are not only a hassle to the end-users but also to the developers, because they needed to invest a ton of money into funding these plug-ins’ maintains and monitoring for consistent stability and functionality across multiple browsers working under different operating systems. With this technology – the various devices that you use on a day-to-day basis, like the smart phones, TVs, computers and the near-future wearable technologies can all interact between each other and exchange data, voice and videos seamlessly on a real-time basis via the internet irrespective of their difference in base platforms. This concept of WebRTC came to life at the Google; about a year after the launch of Google Chrome the Chrome team wanted a system that would provide this real-time communication features. However, the results they came up with weren’t satisfactory and Google released their WebRTC to the public in May of 2011 as an open-source project. Since then there has been thousands of potential endpoints on development to enhance and make-real the visions for WebRTC, this includes contributions from Ericsson, Mozilla and AT&T. Now, with its inclusion within the latest markup language – the HTML 5 – the browsers such as Chrome, Firefox and Opera have all incorporated the WebRTC within their browser experience, while Internet Explorer and Safari are yet to catch-up, as of Sep 2014. So, we know that this new technology can bring about a mountain of changes to the ways we perceive peer to peer interactions. But, how these changes will influence or improve your revenue opportunities? – Here, grab a peek! Imagine a call center without any telephones – both in physical or on a desktop form!! Impossible? Well, it may seem so at the moment, but that’s exactly what the concept behind WebRCT is all about. The developers hope to achieve a real-time communications infrastructure that enables all peer to peer interactions within a default browser’s interface. The possibilities are beyond call centers and similar businesses; all organization can make use of its potential and maximize their efficiency by completely eliminating the needs for telephonic or desktop based phone infrastructures and accordingly control their revenue to a great extent. This technology is thus considered by many as a game changer. Having a browser that can by default provide you with voice/video calling features and P2P file sharing facilities, without the need for additional plug-ins or any other third party software programs is defiantly a boost for any businesses, especially those companies that have limited budget for availing these services. A long distance video conference usually comprises of multiple participants interacting from different locations via a common tool, which typically relays all their voices echoing from a single speaker, but this leaves a mess of voices. However, all this could change with WebRTC “Spatial Conferencing” a concept that aims to bring about a field of depth in the communications, such that the participants can pinpoint the each other location. This is achieved by placing a small speaker in-front of the participants, these speakers produce a full three dimensional sound for each participants as per their locations. This gives the listener a clear perspective of individual voices. This technology thus is very efficient at giving the users a feel of live meeting within a conference room, making the video interactions seamless and pleasant. Another important aspect of WebRTC is its ability to transfer files between any browsers; be it on desktop or mobile. The possibilities are endless, as the freedom to transfer files across multiple devices and operating systems solves various problems associated with plug-ins and compatibilities. For companies, this feature can save a lot of hassle and help enhance their productivity. These are some of the feature of WebRTC that show great potential, in improving our business lifestyle and allowing us to focus on more important tasks. Author K2B SolutionsPosted on October 6, 2014 Categories Web developmentTags Real time communication, video communication, webRTC, webrtc applications, webrtc audio, webrtc communication, webrtc hosting, webrtc open source, webrtc video conferencing, webrtc video streamingLeave a comment on An introduction to WebRTC and how it will improve revenue opportunities for your company?